Samsung Electronics Co., Ltd., the world leader in advanced semiconductor technology, put full-fledged efforts to strengthen its strategic partnerships in the Indian mobile market, with comprehensive component solutions encompassing image sensors, memory and displays. 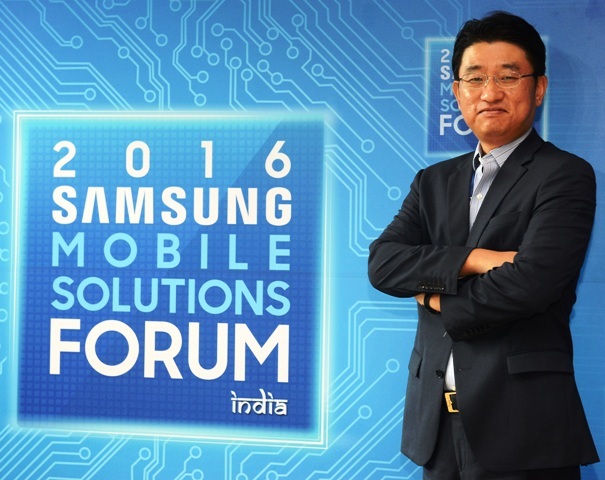 Samsung Electronics held its first Samsung Mobile Solutions Forum 2016 in New Delhi, India, showcasing its latest technologies and emphasizing the strategic importance of mobile solution partnerships in the region. More than 200 professionals from the industry, including major telecommunications providers, mobile device manufacturers and camera module companies, attended the forum. • Dual Pixel image sensor–Image sensor that uses all pixels as a phase detecting auto focus (PDAF)agent to deliver instant auto-focus even in poor lighting conditions. • 10-nanometer class LPDDR4 SDRAM - LPDDR4 mobile DRAM is a high-speed, high-density, and power-saving memory built specifically for advanced mobile devices. It allows consumers to enjoy seamless multitasking even longer with extended battery life. • Display GreenScaler technologies–A power-efficient display driver solution that up-scales image resolution by up to four times,enabling high resolution display even with mid- to low-end mobile processors. • Bio-Processor- All-in-one health solution that processes bio-signals without the need of external processing parts by integratingfive Analog Front Ends (AFE), microcontroller unit (MCU), power management integrated circuit (PMIC), digital signal processor (DSP), and eFlash memory. • VR/Wearable platform – Exynos processors and development platforms specifically designed for wearables, such as VR headsets and smart watches. Last year, Samsung held its first Samsung Image Sensor Forum on August 7, in New Delhi. Giventhe growing importance of the smartphone market in India, which is expected to be the second largest following China*, Samsung has expandedthe scale of the forum this year by showcasing the comprehensive lineup of its mobile component solutions. With this forum as momentum, Samsung plans to strengthen its stature in India’s mobile market by providing high-speed, high-performance, and high-capacity mobile solutions.